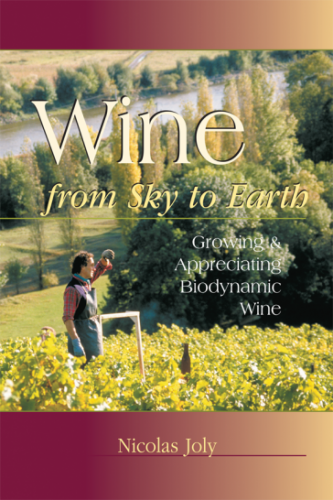 The second book devoted to the wine lover. On Amazon or in your favorite bookstore. “Wine is made in the vineyard” is the mantra of many a winemaker. But what does it mean, really? 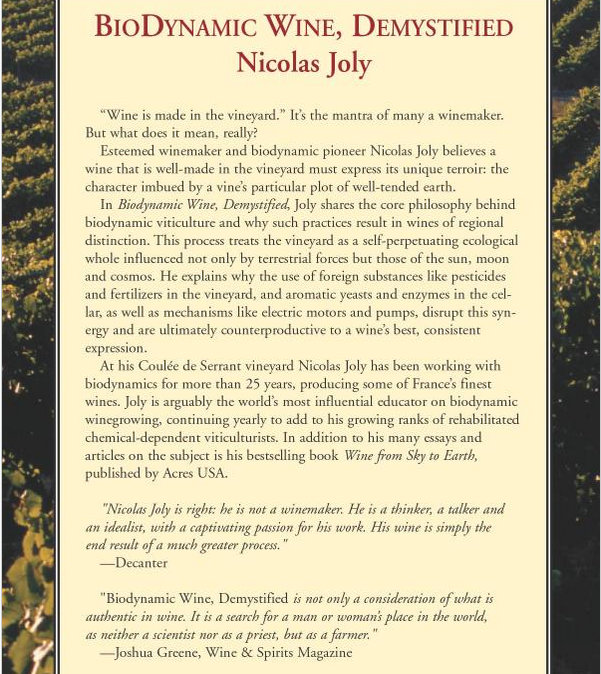 Esteemed winemaker and biodynamic pioneer Nicholas Joly believes a wine that is well-made in the vineyard must express its unique terroir—the character imbued by a vine’s particular plot of well-tended earth. 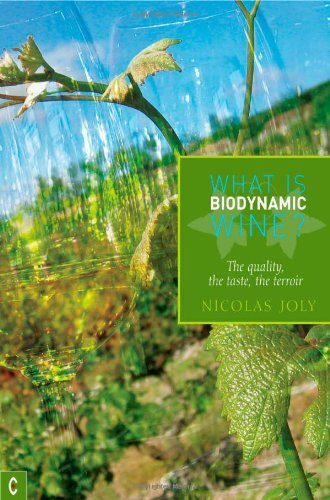 In Biodynamic Wine, Demystified, Joly shares the core philosophy behind biodynamic viticulture and why such practices result in wines of regional distinction. 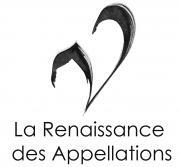 This process treats the vineyard as a self-perpetuating ecological whole influenced not only by terrestrial forces but those of the sun, moon and cosmos. 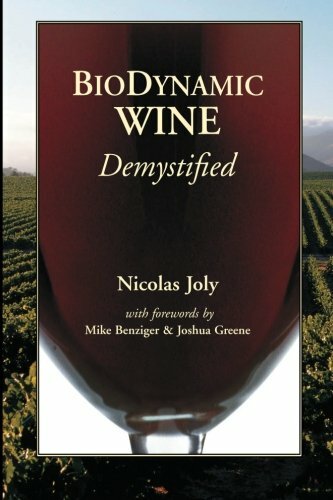 He explains why the use of foreign substances such as pesticides and fertilizers in the vineyard, and aromatic yeasts and enzymes in the cellar, as well as mechanisms such as electric motors and pumps, disrupt this synergy and are ultimately counterproductive to a wine’s best, consistent expression.